it's from Scandal again. this whole sequence cracks me up. "Are you wearing any pants?" "No." "Buckingham Palace. 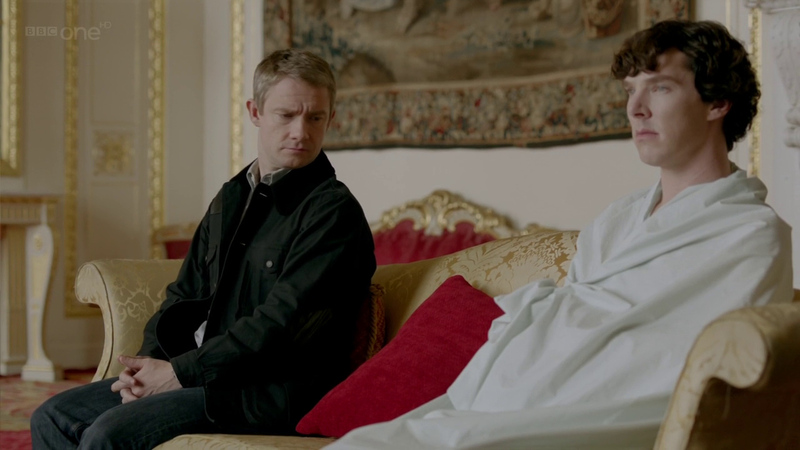 Seriously, Sherlock, what are we doing here? Here to see the Queen?" 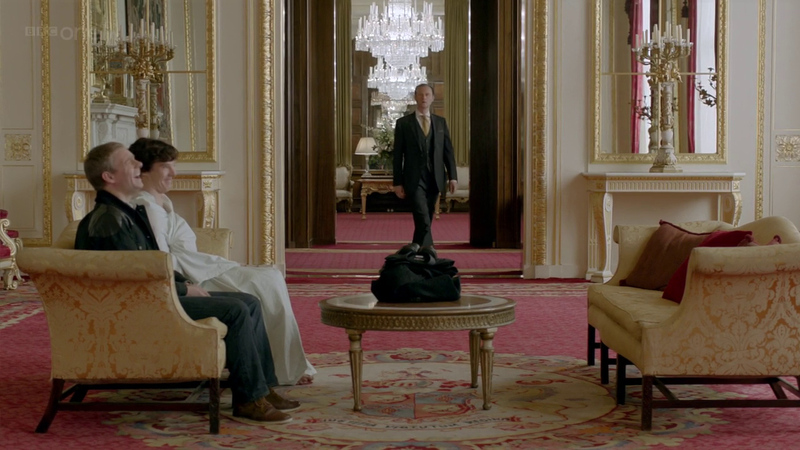 "We are in Buckingham Palace, the very heart of the British Nation. Sherlock Holmes, put your trousers on." "Or I'll just walk out of here." 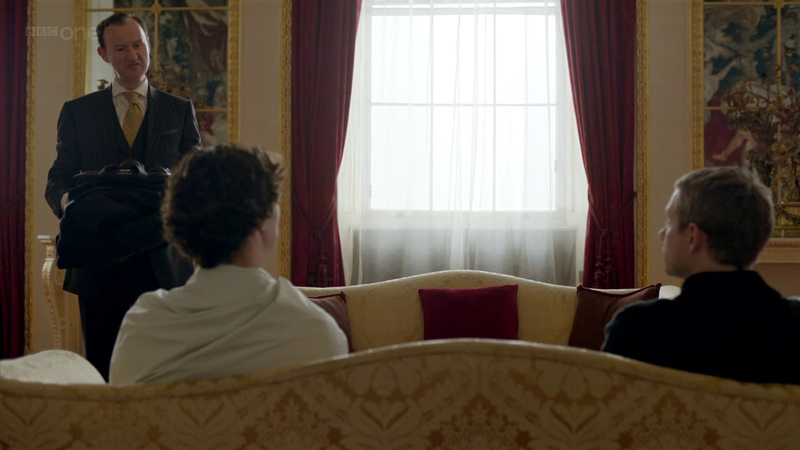 as much as i really didn't like him in the first episode, Mycroft has grown on me so much. i'm with John and want to punch him in Fall, but at the same time, i can understand where he's coming from. and face it, Sherlock does push equally hard most of the time. Ben and Mark play off each other brilliantly as the brothers. they really do. but i would adore the scene where Ben falls over from Mark stepping on the sheet. they've *talked* about it, but don't have blooper reels. of course, that fall might be the reason Martin kind of lunges over when the sheet starts coming off. i honestly have no idea. it'd be under Sherlock or Sherlock BBC or Sherlock 2010 if it is. the actors are Benedict Cumberbatch, Martin Freeman and Mark Gatiss. should be six total. the show run starts with "A Study in Pink"
if you watch Scandal in Belgravia first, it won't hurt anything, but it'll be confusing. that's the first three. :) i checked pbs's page, but they don't have the second season up for viewing right now. you might give youtube a chance. i haven't checked there because i have the dvds.